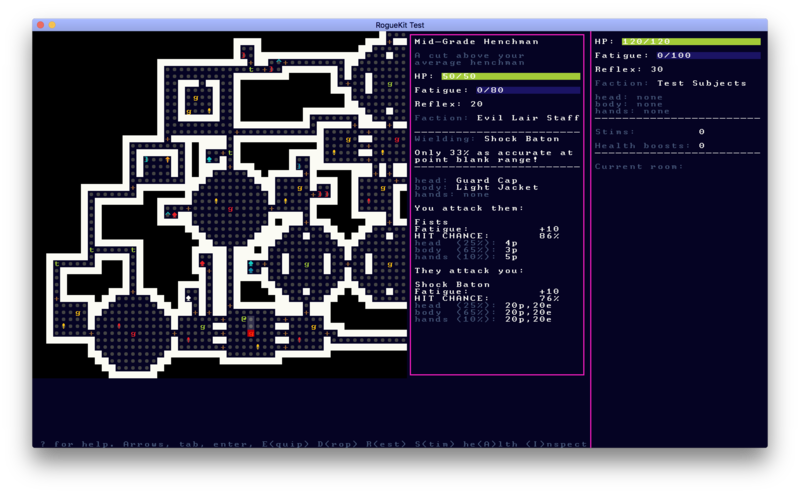 Classic-style ASCII roguelike about escaping a mad scientist's laboratory. 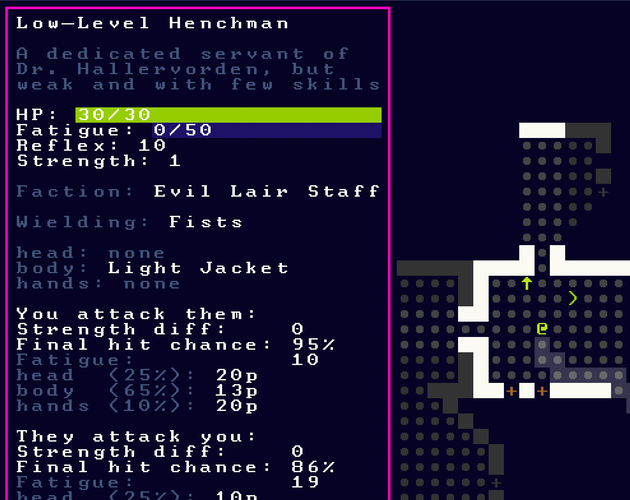 My goal with 7DRL this year was to make a statement about a very small aspect of roguelikes: item placement. 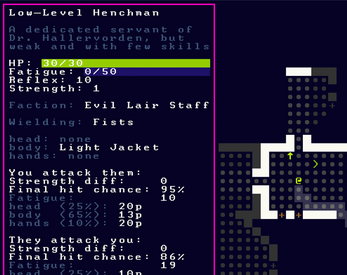 Most roguelikes just throw their items all over the floor as if the level generator were a messy teenager. I think that a more intentional level generator can both fuel the player's imagination, and give people environmental hints about level layout that feel helpful without also feeling cheap. I'm not yet sure if the combat system really worked out, so please do tell me about your experience with it. I learned that total symmetry between enemies and players makes balance very difficult, because defeating a tough enemy can mean you immediately have all their awesome gear. The Linux version was made possible by the author of Delivery RL. Check it out!